The Daily Caller News Foundation asked 19 international corporations started in the U.S. if each identified as an “American” company. About half did not respond, while the others gave a range of answers, including the tech giants Google, Facebook and Twitter. The tech giants have faced intense public scrutiny recently because of the unprecedented access each has to Americans’ data and because of the power each has over communication and politics across the U.S. Ten international corporations contacted by The Daily Caller News Foundation got their start in the U.S. but stayed silent when asked if they saw themselves as “American” companies. TheDCNF wanted to gauge the commitment of international corporations with roots in the United States to keeping an “American” identity. TheDCNF did not define what an “American” company looks like or list out any principles or ideals that “American” companies are committed to, leaving each business to attach meaning to the name if one chose to stand by it. Representatives for Amazon, Apple, Chevron, General Electric and others did not respond to TheDCNF’s inquiry. The tech companies Google, Facebook and Twitter – all headquartered in California – are under distinct pressure to increase transparency and be upfront about their commitments, especially as it relates to censored content. Conservatives especially have taken issue with the tech giants’ policies, and U.S. politicians are wary of the companies’ operations in foreign countries. The automaker General Motors is headquartered in Detroit and has been a fixture in the Motor City since Alfred Sloan moved the company there nearly a century ago. “GM has manufacturing, assembly, distribution, office or warehousing operations in 33 countries. But GM unquestionably is an American company with a deep and abiding commitment to U.S. manufacturing,” a GM spokesman told TheDCNF in a statement. JPMorgan Chase, an investment and banking giant headquartered in New York City, traces its roots in the U.S. back to 1799, nearly as old as the U.S. itself. A spokesman for JPMorgan described the firm as an “American Institution” in response to TheDCNF. Even as we expand into new markets, we never forget our American roots. It’s no coincidence that a company dedicated to free flow of information was founded here in the U.S. As an American company, we cherish the values and freedoms that have allowed us to grow and serve so many users and I am proud to say we do and we will continue to work with the government to keep our country safe and secure. 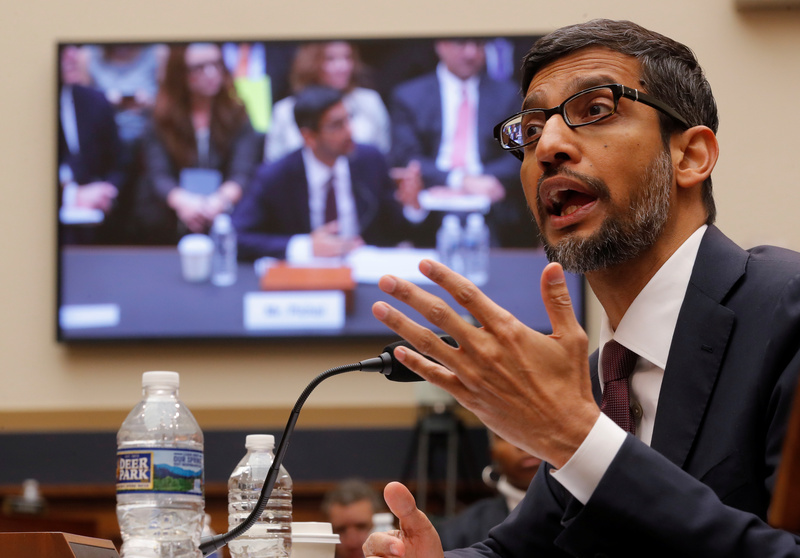 At the hearing, lawmakers peppered Pichai on how the company handles personal information and on its operations in foreign countries, specifically Project Dragonfly, an attempt to build a new search engine that would comply with China’s censorship laws. When details of Dragonfly first appeared in The Intercept, critics blasted Google for attempting to work with Beijing on providing a service that would radically restrict views and speech at best and potentially aid the government in identifying targeted individuals and groups. Pichai testified the project was scrapped and that Google has “no plans” to construct such a service for use in China after the company left the country in 2010. Conservatives allege that Google has unfairly targeted conservative viewpoints. Communications between Google employees obtained by TheDCNF in November show that employees debated burying content from sites such as The Daily Caller and Breitbart deep down in web results. When TheDCNF asked a representative from Facebook to characterize the company, representative directed TheDCNF to two articles written by Zuckerberg in The Wall Street Journal and The Washington Post. The article in WSJ attempts to broadly describe the company’s business model and how it relates to data security and collection. The article in WaPo focuses on the “immense responsibilities” Facebook faces to protect its consumers from hate speech, fake news and cyberattacks. Zuckerberg and Facebook are pushing for government regulators to play a more active role in policing social media companies and the internet more broadly. 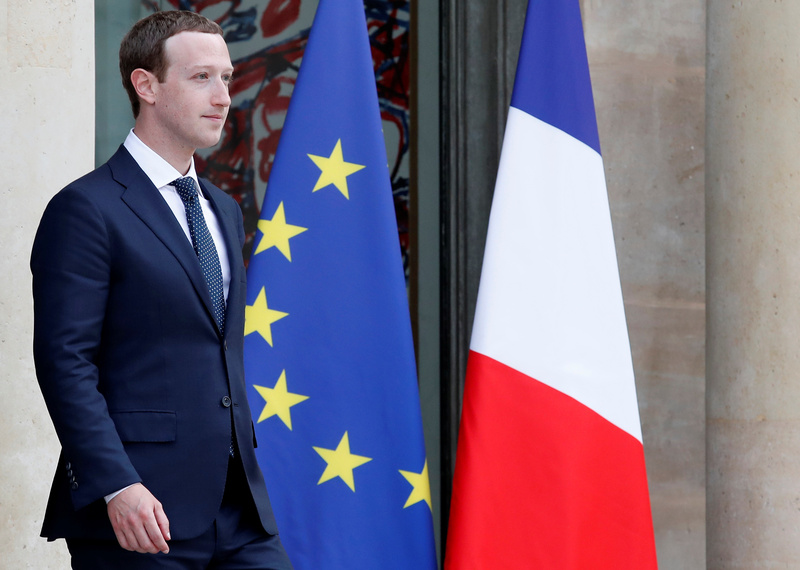 As a “global company,” that regulation isn’t limited to the U.S.
Facebook is working with French officials to turn over some of the company’s authority to monitor information on the platform to the French government. Such a framework would lessen Facebook’s responsibility for content and allow it to at least share blame with the government. “We believe that everyone should have the power to create and share ideas and information instantly, without barriers. In order to protect the experience and safety of people who use Twitter, there are some limitations on the type of content and behavior that we allow,” a Twitter representative told TheDCNF in a statement. Twitter has faced criticisms similar to the other tech giants over allegations of censorship and “shadow banning,” or reducing the visibility of, conservative accounts and content. 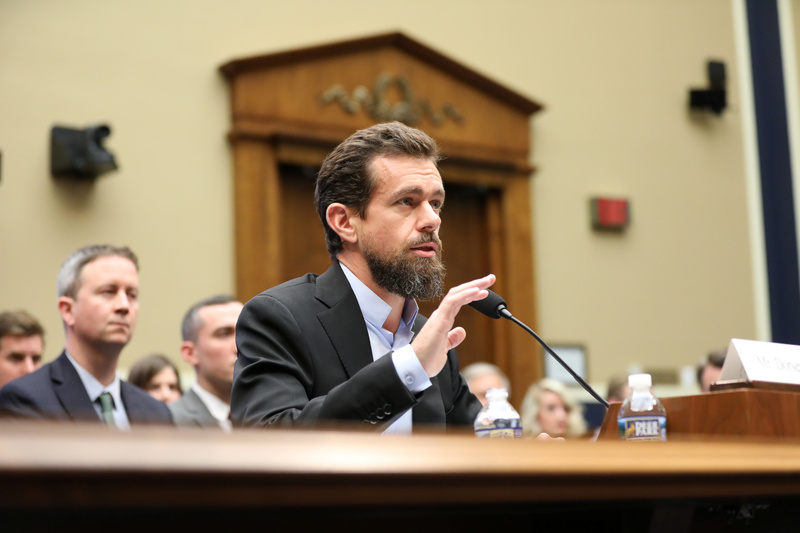 Twitter CEO Jack Dorsey is candid about the company’s left-wing bias but insists that it does not discriminate against accounts on the basis of politics. Twitter also seeks to limit behavior that it deems “abusive,” even if such conduct is not explicitly banned under its user agreement, according to a September blog post by company executives. Early in 2019, the platform began punishing users that tweeted “learn to code” at journalists who had lost their jobs. The platform insisted the “learn to code” ban was meant to combat a targeted harassment campaign orchestrated by online internet trolls, but enforcement action often missed the mark by punishing accounts that were either joking or not involved with an organized harassment campaign.